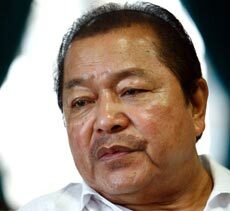 Aizawl, Feb 26 : Concerned with the long standing political problems of Kuki people in Manipur, Mizoram Chief Minister Lal Thanhawla today urged Prime Minister Manmohan Singh to begin political dialogue with the Kuki National Organisation. During a brief meeting in New Delhi, Lal Thanhawla also gave suggestions for permanent solution to the problems of Kukis, who have intensified their demand for a state in the neighbouring state. An official statement here said the Prime Minister also sought advice from the chief minister on the Naga problems. Earlier on Saturday, Lal Thanhawla had also brought up the issue of Kukis during a three-hour meeting with Union home minister Sushil Kumar Shinde. He had blamed both the central and the Manipur state governments for not responsive to the Kuki problems which hurt their sentiments. Thanhawla said at his initiatives, the Kuki National Organisation, the central government and the Manipur government had reached into a ceasefire agreement. While the KNO abided the ceasefire pact, the governments were not responsive and that hurt the Kukis, he was quoted as saying by official statement.